Building on the extensive engineering of the Vipec, the recipient of a Gold ISPO Award, Fritschi hath revealed the Tecton. It is instantly the new standard in the category of “alpine-like” tech bindings. It is the only tech binding to pair lateral-release in the toe with an alpine-style heel. This means the release profile is similar to alpine bindings and DIN certification will be a slam-dunk. In other words, you can confidently charge through anything without having lingering thoughts about the safety of your bindings. For the Tecton, Fritschi employed the same revolutionary lateral-release mechanism in the toe piece that is found on the Vipec. Other than tweaks to accommodate more boots and be easier to step in, the toe is the same battle-hardened design. The wings are connected by way of a sliding linkage which allows you to fine tune the lateral release values independently of the heel piece. It offers elastic travel which improves retention while the ski is getting hammered by refrozen debris. In a true twisting fall, however, the wings will pop open like a door and voilà, your boot comes out. 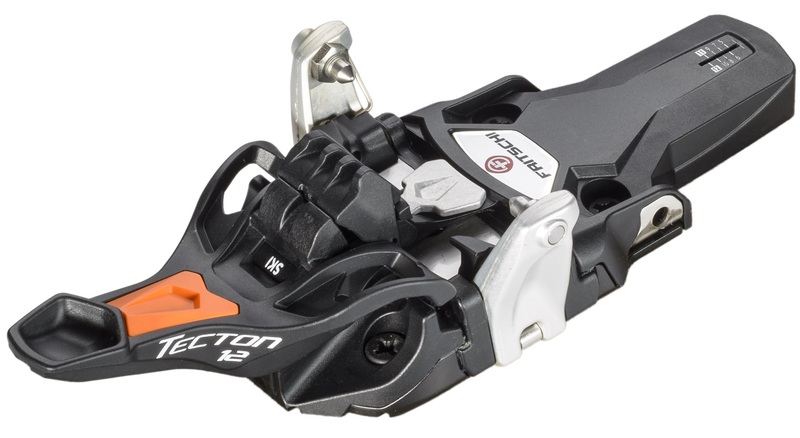 The design eliminates the lateral-release blind-spot found in most other tech bindings (and the other “hybrid” tech/alpine binding, which fares the worst by this measure). The Tecton heel piece is where things get a bit different, since it looks a lot like a typical alpine binding. 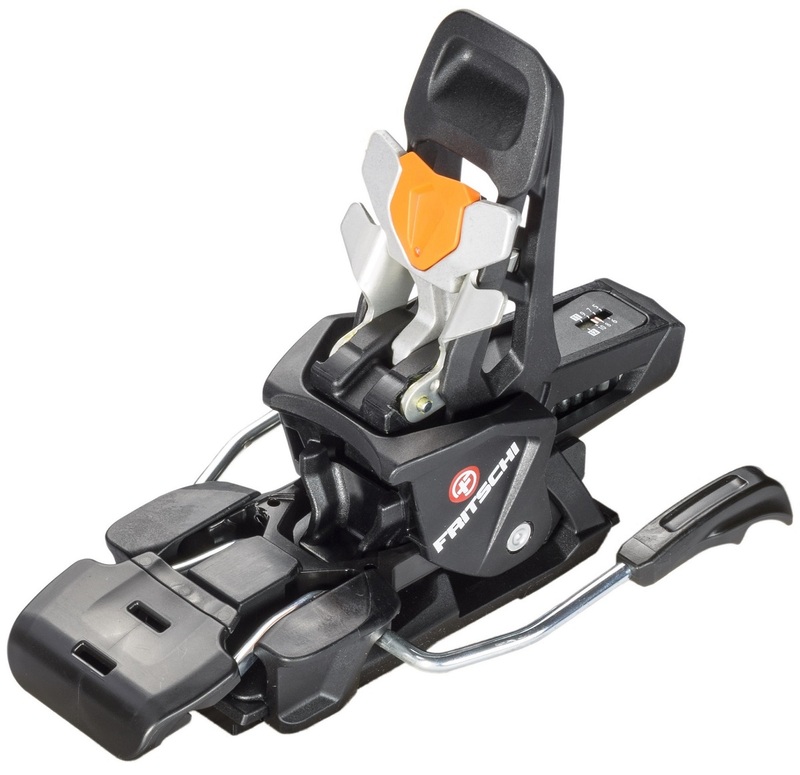 The heel unit features a Power Rail that cradles the heel of the boot and creates a secure connection to your planks. The positive clamping action means you get good power transmission through the ski. It also has a good amount of vertical elastic travel, meaning you can absorb big landings and rough spots without pre-releasing. Employed within the Power Rail is a pair of grooves in place of tech pins that sink deep into the heel fitting while in ski mode. This means the heel isn’t susceptible to wandering under load like the other "hybrid" binding. 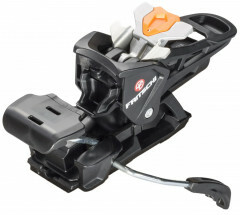 The Fritschi Tecton is a full-featured hybrid tech/alpine binding that you can ski with confidence. It's also the first one we're comfortable selling to our customers. "DIN certification-ready" – a short but potentially very important bullet point. Ability to change from skiing to walking and back without exiting the binding. 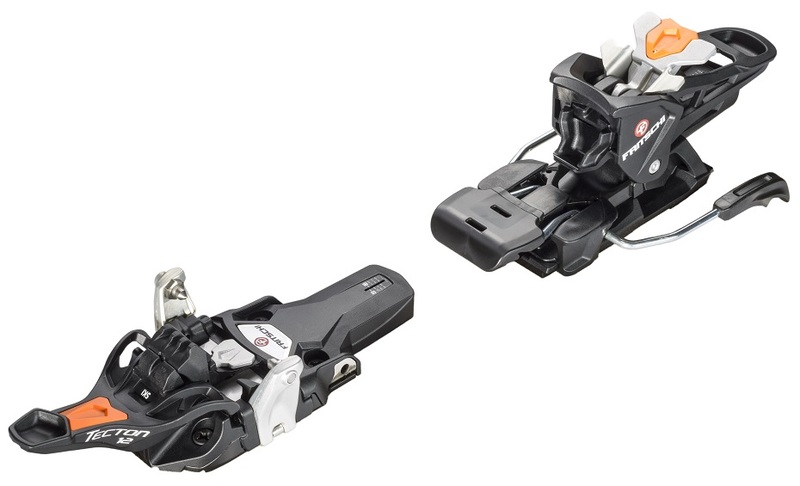 Multiple heel riser options, including a mostly-flat mode for long approaches. Novel heel design is capable of producing a calculated release with vertical elastic travel. Power Rail in the heel unit secures the boot to minimize wander under load. 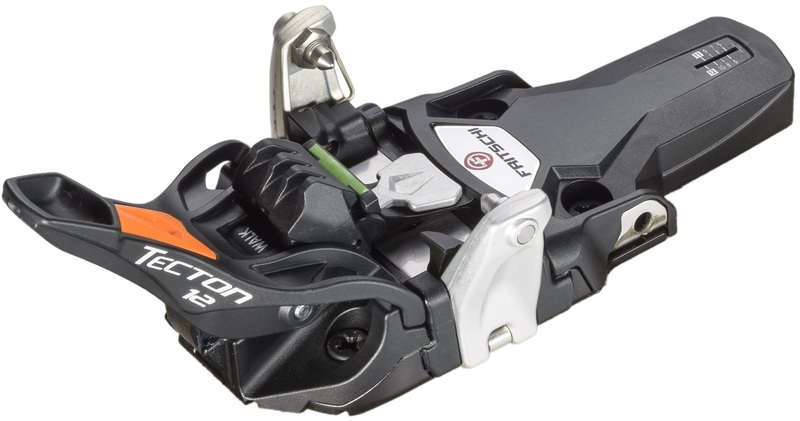 Possibility of removing the ski brakes to save weight (-70g). Generous 9mm of vertical elasticity eliminates chatter and allows for consistent release no matter the conditions. Independent toe release values with 13mm of elastic travel helps provide accurate power transmission, release values, and will still allow for a full release while locked in the event of an avalanche. Usage Hard charging in and out of a resort. Bottom Line Perfect meld of tech and alpine bindings. Is your Tecton stock this year's (18/19) version with the updated toe bumper? Hi Michael, yes, all of our stock is from this season. 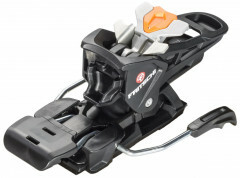 Are stomp blocks available if I wanted to ski the Tectons brakeless? Hey TrB, no stomp blocks needed, the Tecton is designed to be skied brakeless with no additional parts! do you have 90mm brakes for the blizzard 85 for example? The fritschi website shows these as an option. Hi Peter, the N.A. distributor didn't bring in kits with 90mm brakes, but skinnier brakes are available separately here. We're happy to swap them out for you as well if you buy the bindings, just expect a mislabeled box. What is the stack height? Hey Stack. Haven't been able to get precise measurements yet, though the toe is the same as the Vipec, which has a pin height of 41.5mm (stack height will be considerably lower than this, though it depends on the exact boot where the equivalent stack height will end up on a tech binding vs. a frame binding). We will update our Binding Pin Heights article once we have more info on the heel piece. If you click the Notify Me link in the availability field of the binding, our system will automatically send you an email once the binding shows up. Should only be a day or two after the binding shows up that we have stack height info for you. Hi Stack, the heel stack is roughly 29mm and the toe is 1cm lower. Add 22mm for corresponding pin heights.